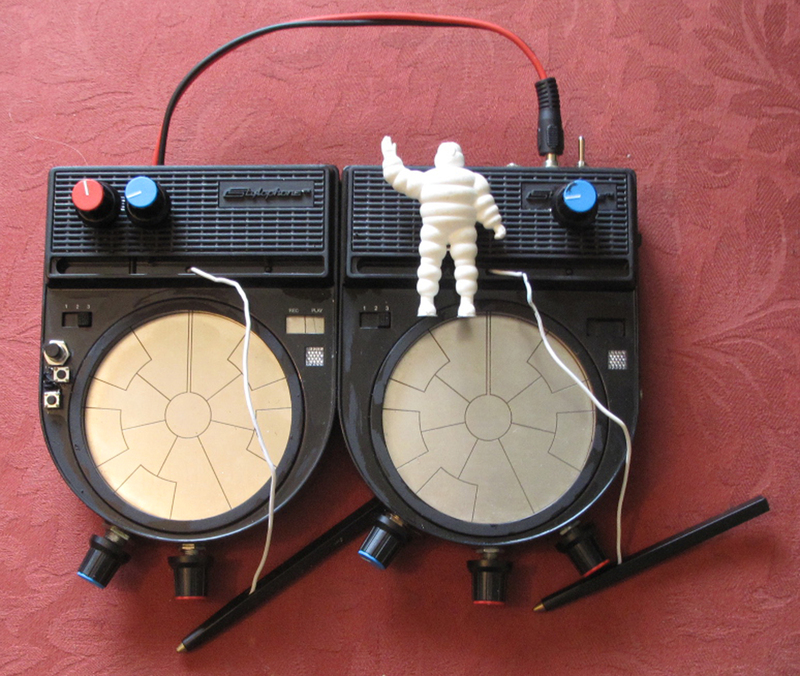 You’ve got a Stylophone, you’ve got a Stylophone Beatbox – but don’t you sometimes wish the two could be combined into one instrument? . 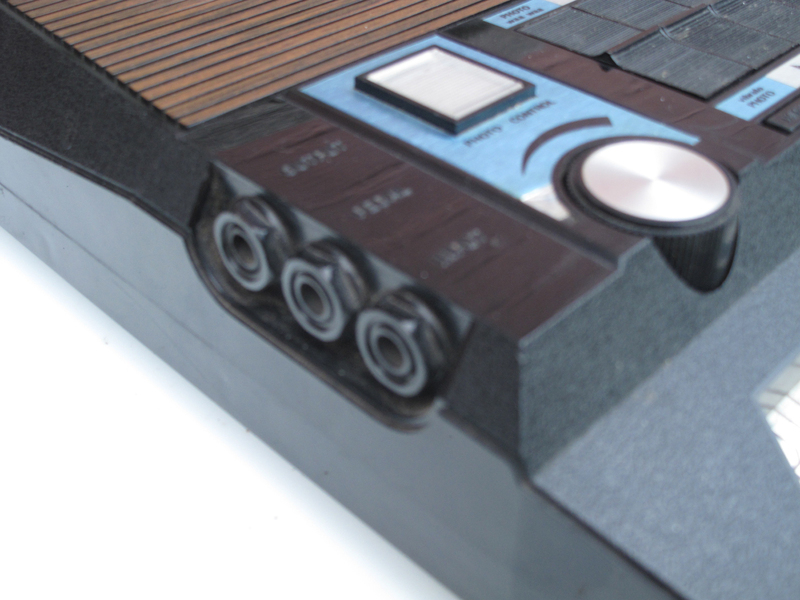 . .
Well, now that wish has become reality, with the ‘BigBoy BeatBox’: two great Stylophone products in one! 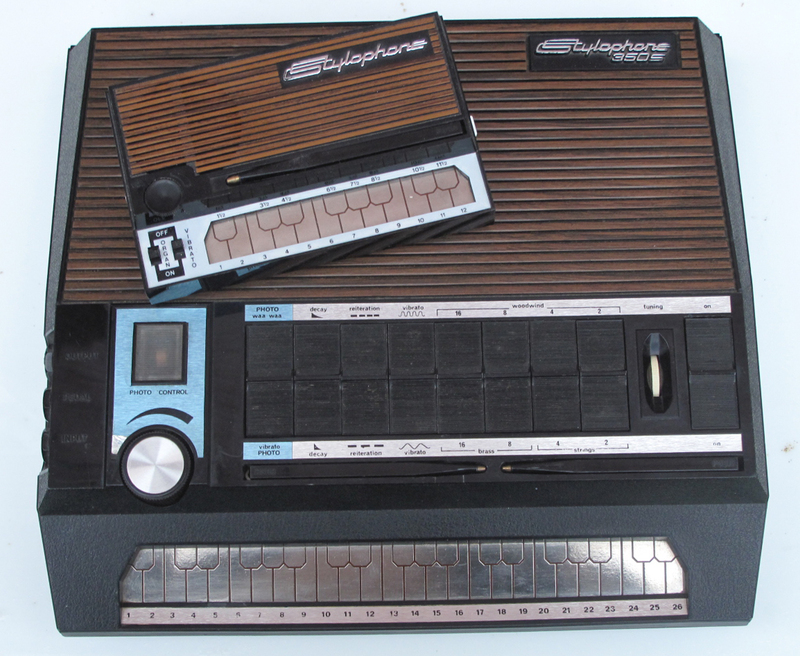 The Stylophone half of the instrument is, in fact, a recreation of the original ‘Big Boy’ – a regular Stylophone S1 inside a Beatbox case. As mentioned in an edit to the original post here, I managed to inflict terminal damage on the ‘Big Boy’ by reckless experimentation. I normally do this before finishing an instrument, this time I contrived to do it afterwards . 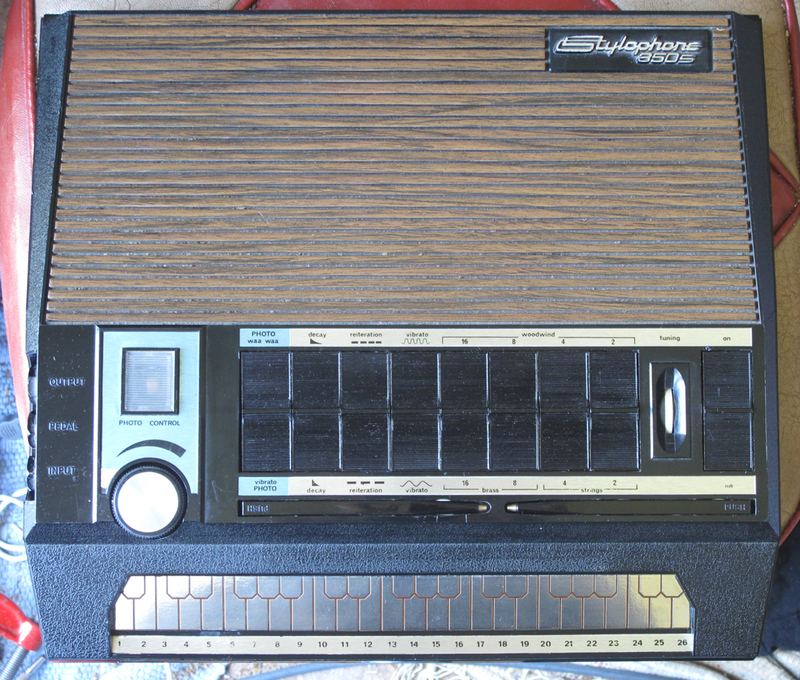 . . so the first thing I had to do was remove and replace the electronics with a new donor Stylophone I had lying around. The actual process closely followed the construction of the original, but was made easier because of the sockets and wiring still remaining in the Beatbox case. 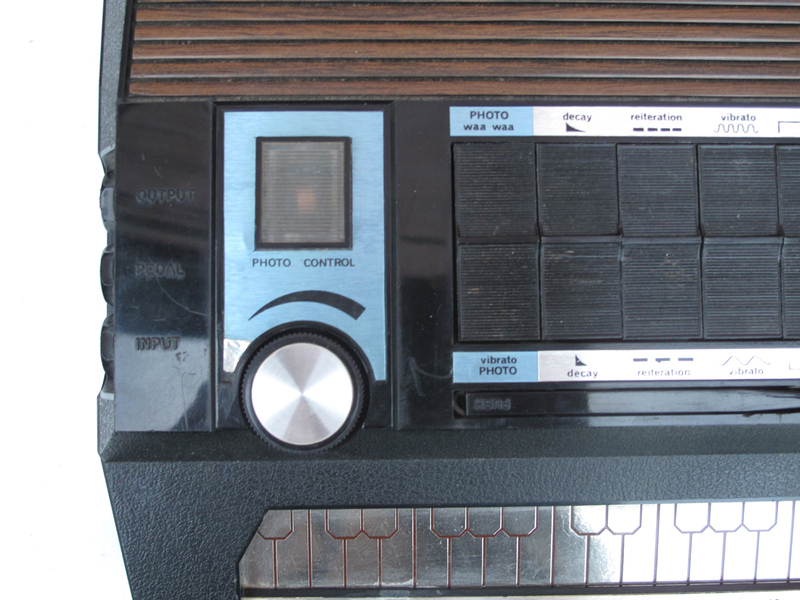 First of all, the end had to be sawn off the Stylophone circuit board, which is too long to fit in a Beatbox case; then the lowest 12 notes of the keyboard were connected to the 12 outside pads of the round Beatbox keyboard. Fortunately, the wires attached to the Beatbox keyboard remained in the case, and just needed connecting to the appropriate Stylophone keys. 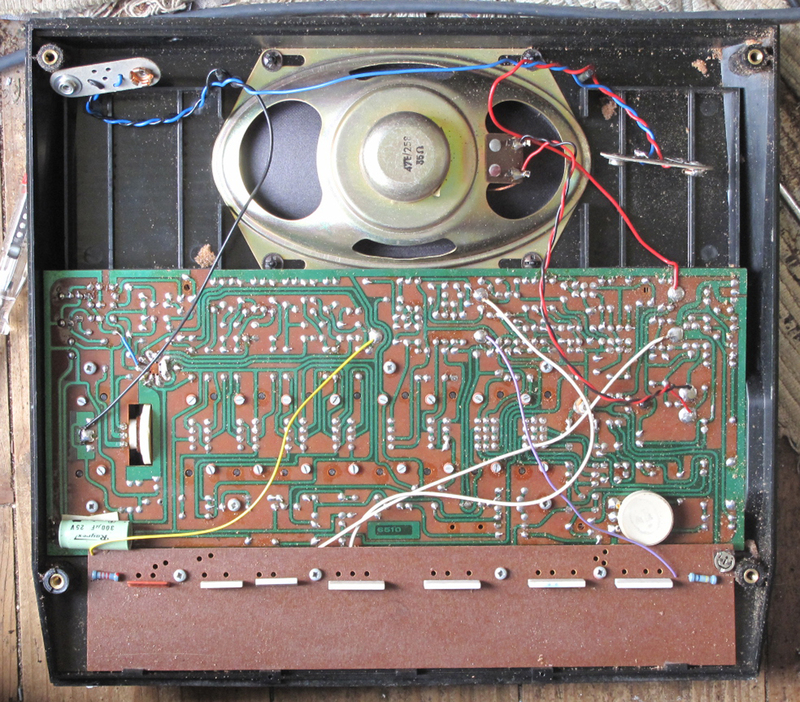 The Beatbox’s amp circuit board was taken out, but the Stylophone’s was kept and connected to the Beatbox’s speaker. 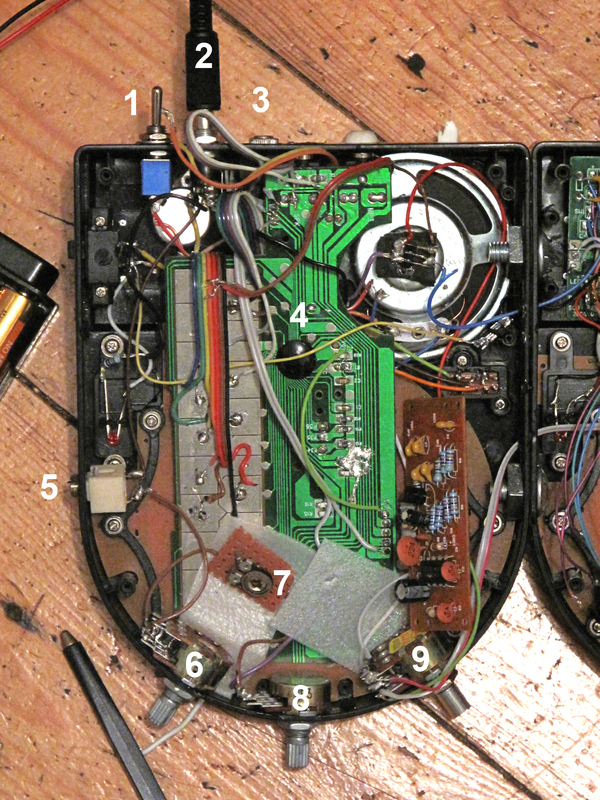 A power socket was connected to the Beatbox’s on/off switch, and the Stylophone’s on/off and vibrato switch circuit board disconnected. 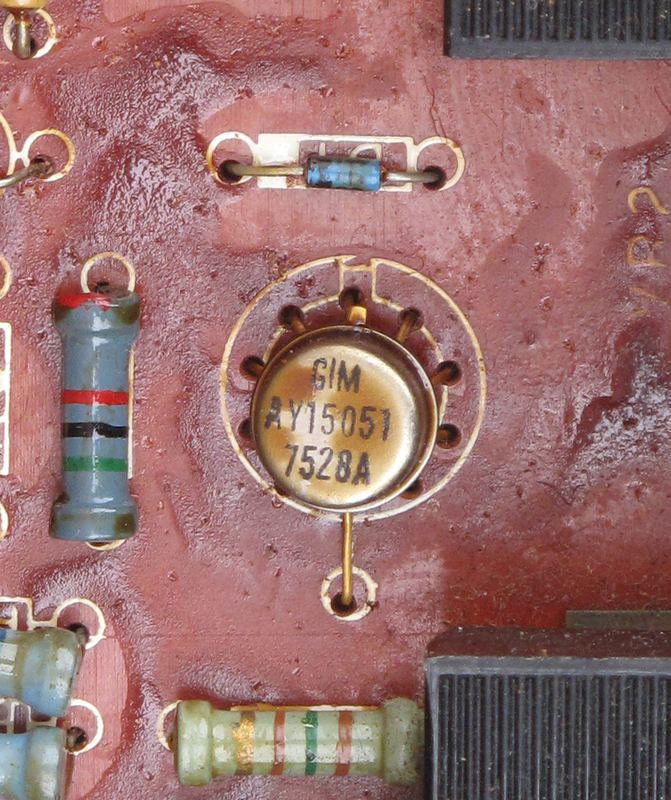 I decided to replace the ‘Big Boy’s troublesome original 3-way octave switch with a simple pitch potentiometer. I used a 100k for coarse tuning, in series with a 10k for fine tuning and a 100k variable preset to fix the highest pitch available. 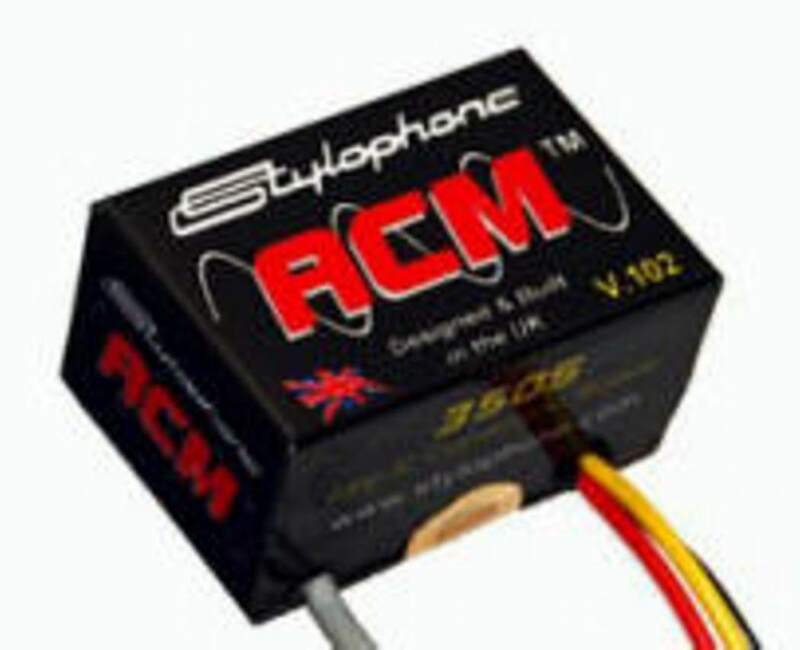 Previous experimentation with Stylophones had taught me they have no objection to going down to very low pitches, but they cease to function – usually temporarily – if the pitch is taken up too high: on resetting, when this happens – by switching the power off and on – sometimes they will begin to work again, sometimes they won’t. 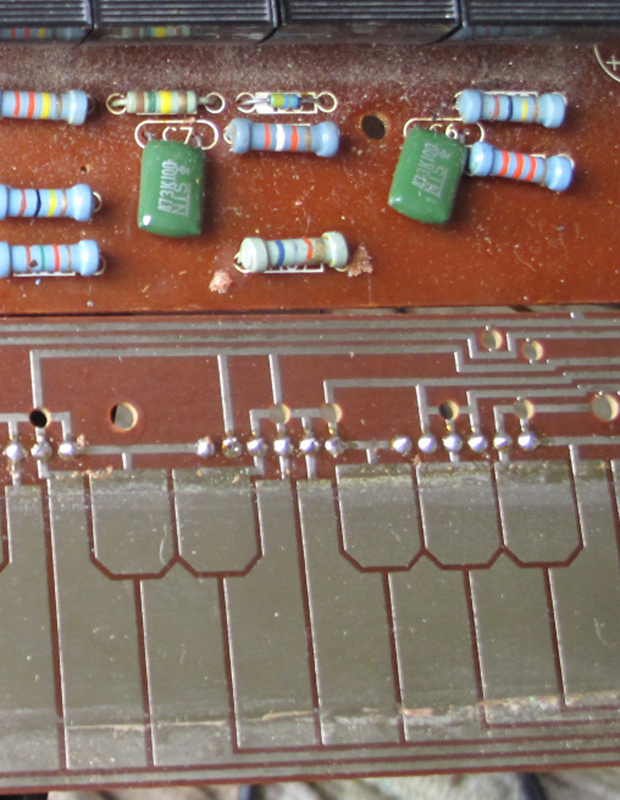 That’s what I did to the original ‘Big Boy’, and there’s no cure apart from throwing the circuit board away and starting again. The likelihood of this happening is increased because I don’t just replace the tuning potentiometer pin-for-pin – the range of voltages available between the two pins the Stylophone uses isn’t wide enough for very large pitch variations, so I use only one of the pins that the original tuning potentiometer was connected to – the left-hand one – but connect the other one to +v. The two new pitch controls were fixed to the front (the rounded end) of the Beatbox case, as was a replacement 10k log volume control. 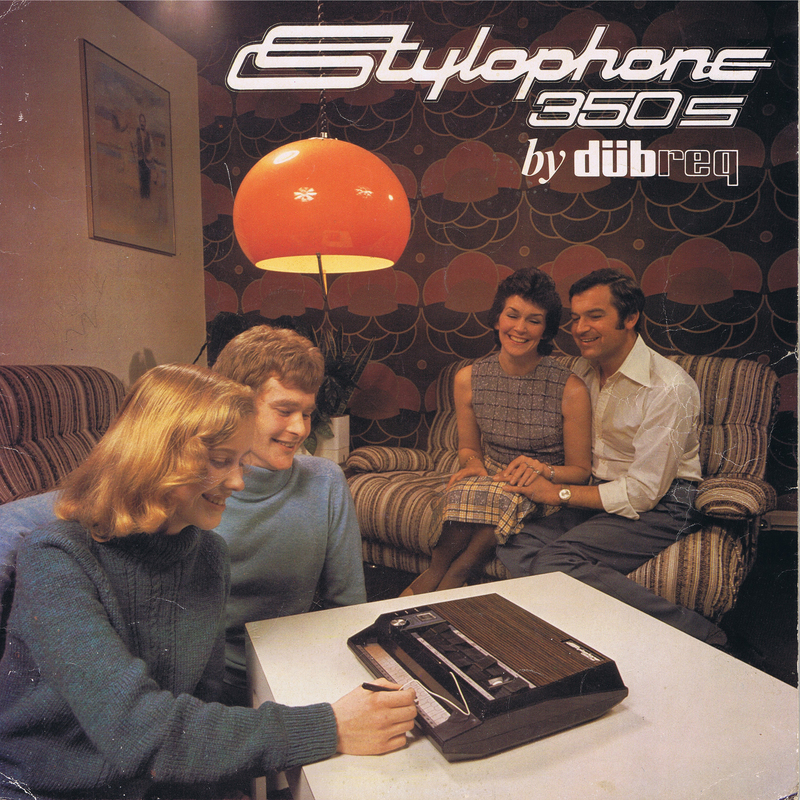 The problem with the Stylophone’s original volume control was not that it wouldn’t work perfectly well, but that it would have had to be on the side of the case which I was intending to fix permanently to the other Beatbox. 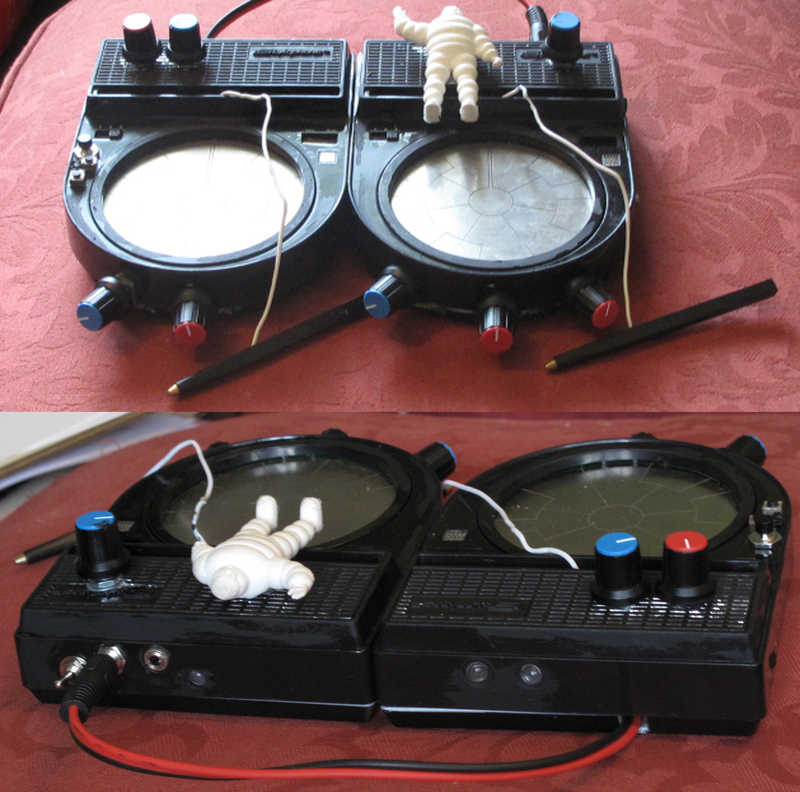 The original ‘Big Boy’ had no vibrato, but I decided the recreation should have a variable control, as fitted to the ‘Alien’, my first Stylophone modification project. 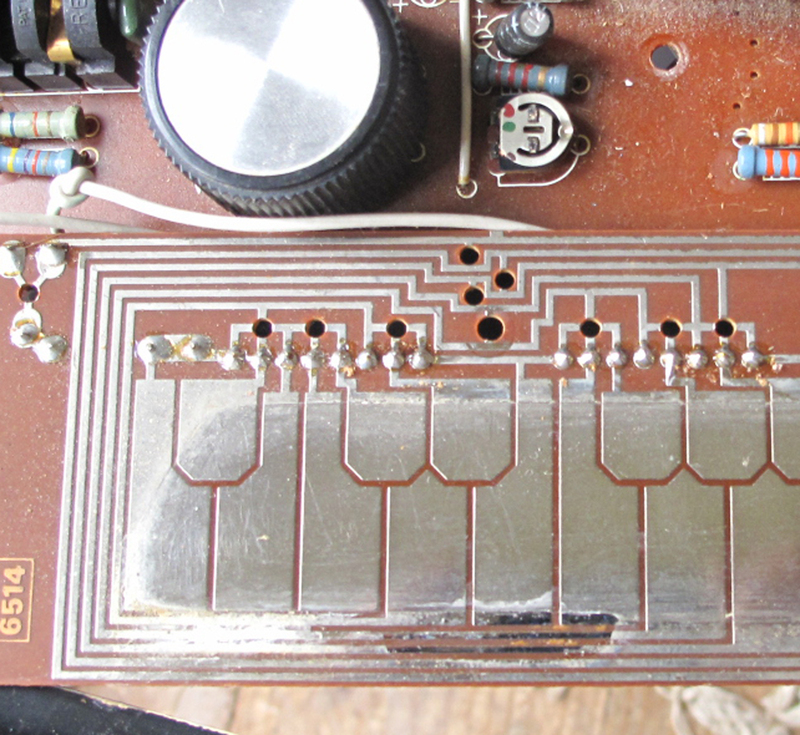 All this involved was connecting a 1M potentiometer instead of an on/of switch between the two vibrato connections next to the power connection on the main Stylophone circuit board. Apart from an output socket and a switch to cut out the internal speaker, that half of the BigBoy BeatBox was done. The other half of the instrument was a plain Beatbox, with very little in the way of modifications. The first thing I did to it was to replace the tuning potentiometer with a larger one of 100k (a direct pin-for-pin replacement this time), allowing for considerable slowing down and lowering of the pitch of the drums and other sounds. I also followed an excellent example in this YouTube video: http://www.youtube.com/watch?v=xXdelnxXF7A to add buttons in parallel with the ‘Record’ and ‘Play’ pads normally operated by the stylus. The trouble with the stylus-operated method is the delay in time between activating ‘Record’ with the stylus, and then using the same stylus to stop recording and begin playing the pattern you want to be looped, as the loop begins the moment ‘Rec’ is selected. With a small normally-open tactile switch as an alternative method of beginning and ending the recording period, you can be much more accurate as regards timing. 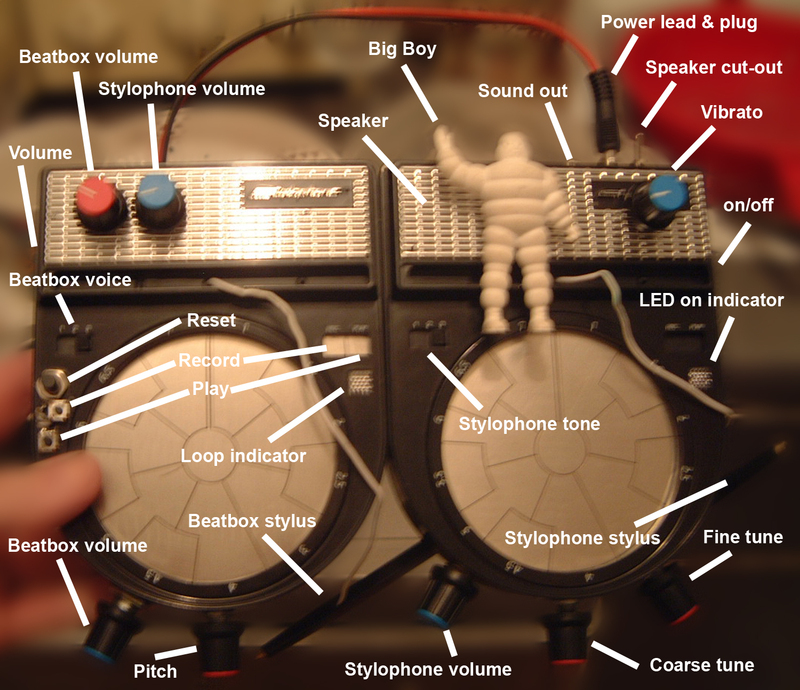 It’s worth mentioning at this point that, like the original Stylophone itself, the Beatbox comes in more than one variety, as far as circuitry is concerned. I noticed two significant variations between the Beatbox I used in my ‘test to destruction’ phase, and the one that eventually found its way into the finished instrument: in one case, there was a tap from the battery compartment at 3v, which fed into the circuit (via the 3-way tone control) as well as the full 4.5v; and the layout of the circuit board was different. As it happens, spots on the board marked ‘Rec’ and ‘Play’ were easily accessed in one case – the test unit – but not in the other – the one I was eventually to use. In my experience, the Beatbox is a very delicate circuit, and it doesn’t take much to do something to it that will cause Record or Play to malfunction, or the output quality of the sound samples to degrade; so, proceed with caution, I’d say. 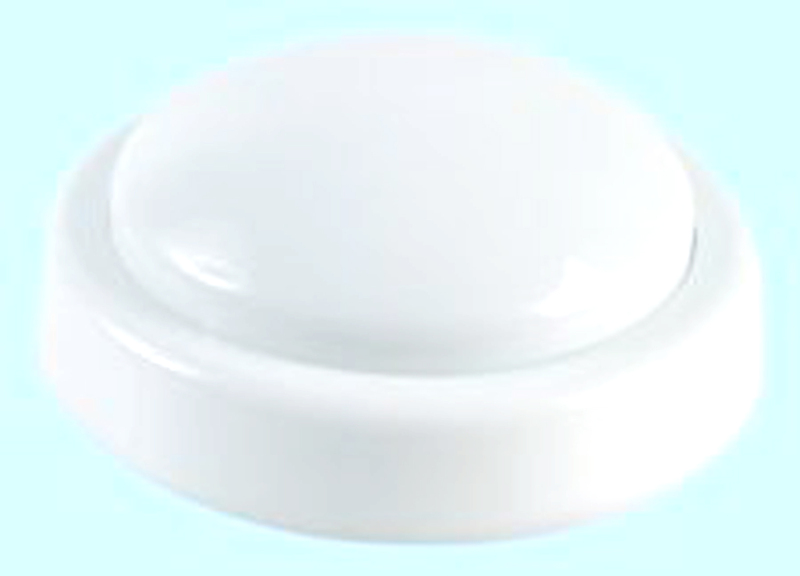 A third new button I added to this unit was ‘Reset’. 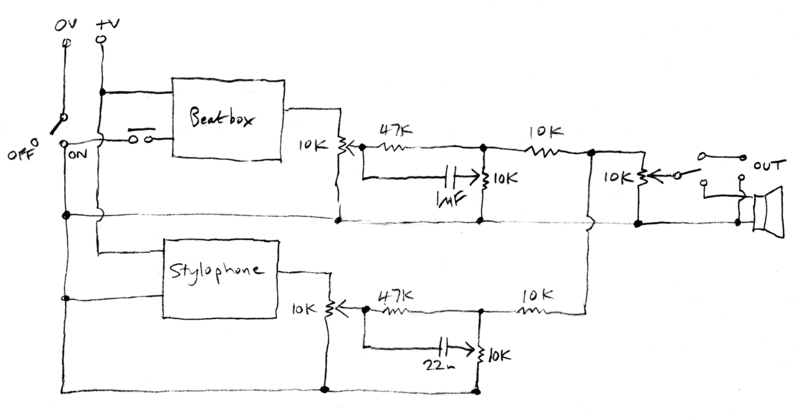 The Beatbox’s method of erasing an old loop and re-recording a new one is to switch the power off and on again. The original power switch had to be removed as it was on the side of the case which was going to be fixed to the other Beatbox case – and there would, anyway, be a single power switch for both units: so the third button is a direct replacement for the Beatbox power switch, but now a normally-on, push-to-break, supplying power to the Beatbox side only. To reset and re-record just takes a quick press and release of this button. Finally, a new 10k log output volume pot was fixed to the front of the unit. Superglue and two bolts was all that was required to physically join the two Beatbox cases, plus a couple of holes through which wires could pass from one side to the other. 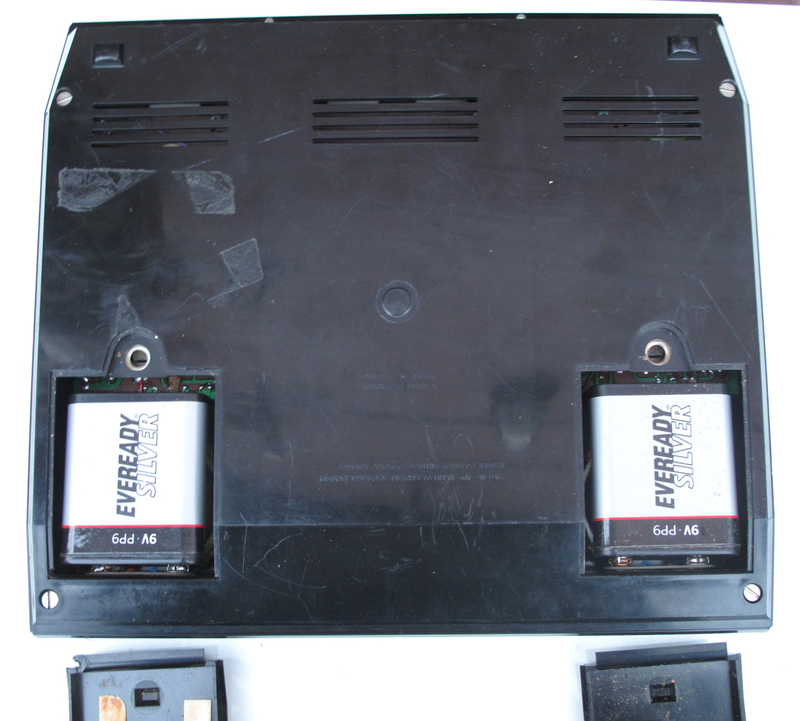 The easiest way to connect the power seemed to be to detach the +v and 0v wires from the battery compartment on the Beatbox side and attach these to the original ‘Big Boy’ Stylophone side, which had a power input socket. 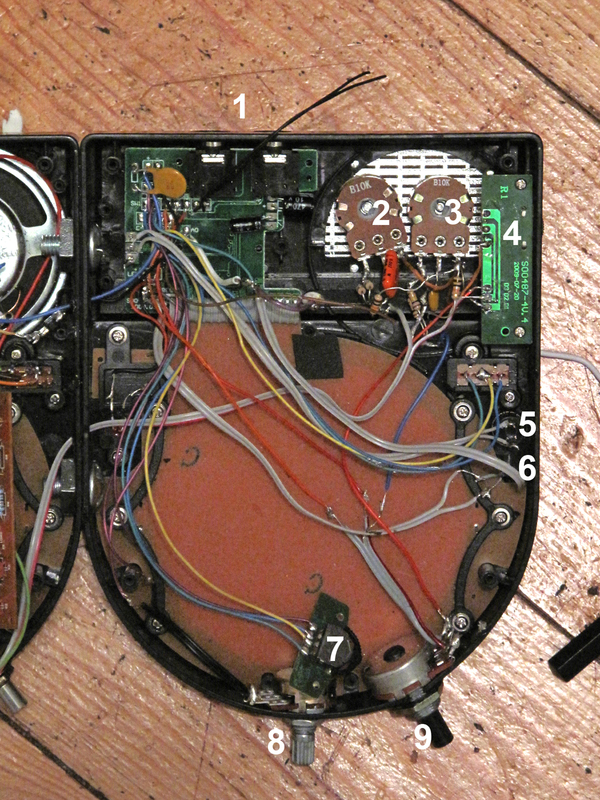 In the end I decided that whereas the battery compartment of the Big Boy Stylophone had to be removed – there was no room for batteries as well as the Stylophone circuitry – the one in the Beatbox could be used. So I wired in a power cable which ran out of the back and was just long enough to reach the power socket in the other half. In this way the instrument could be powered from an external source, or from internal batteries, and there was no need for a switch to change from one to the other. 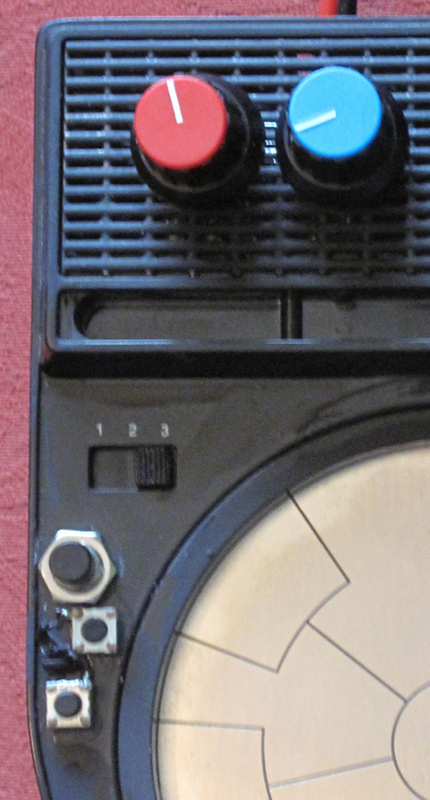 The two 10k volume controls were taken to two individual tone controls. I just wanted something fairly rudimentary, so I used a circuit from http://www.muzique.com/lab/swtc.htm called the ‘Stupidly Wonderful Tone Control’. 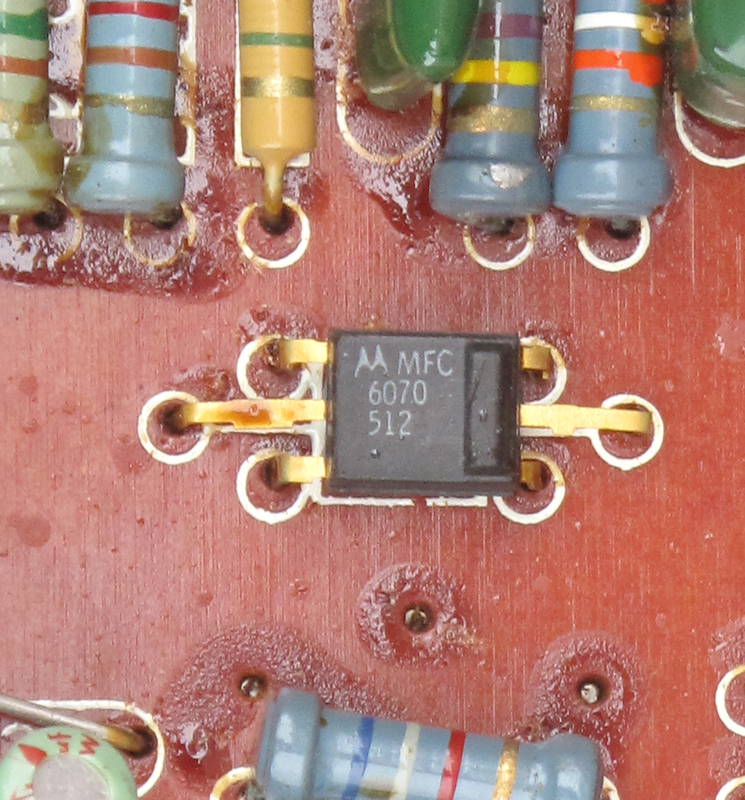 The component values I used were quite different – and I have no idea why – but the format of the circuit was more or less the same, and gave a little bit of variation to the tone. 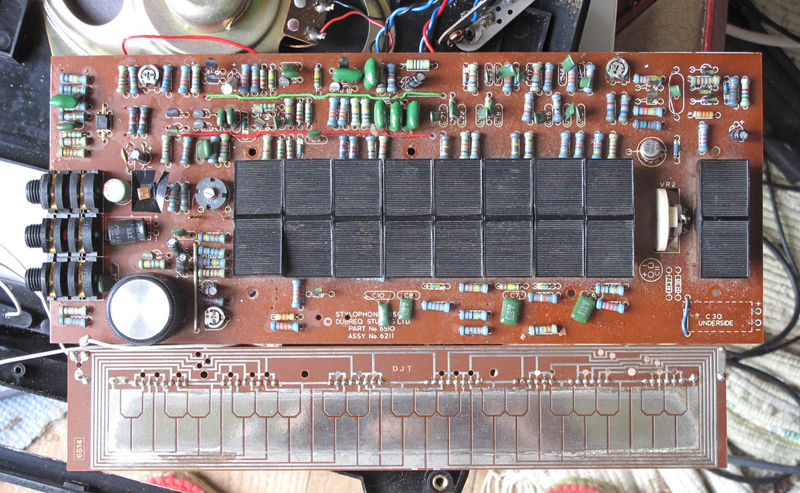 After the tone controls, the two outputs were joined with 10k resistors to the original Beatbox volume control, and then the ‘Big Boy’ Stylophone amp circuit board. This meant that the sound from both units was going to the ‘Big Boy’ half , and the volume and tone of each unit could be independently varied. 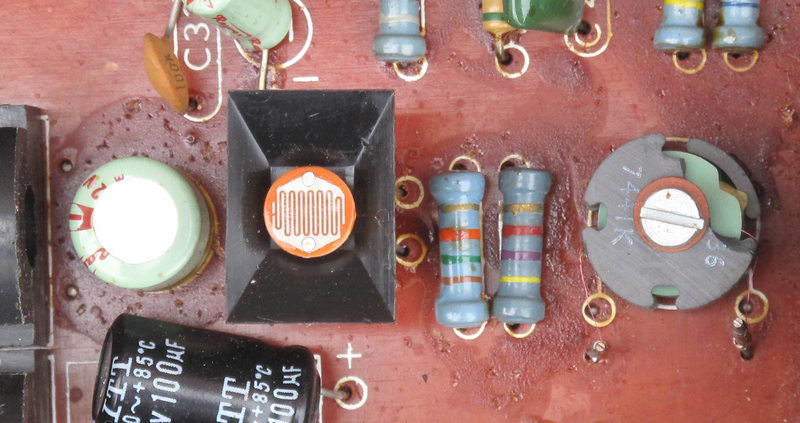 The input to the Beatbox amplifier was disconnected, and the speaker removed. Now I had an instrument in a single conjoined case, with a single power supply and output through a single speaker or output socket. There were two styluses and two keyboards, and – as I had hoped, but not expected with any confidence – both styluses work on both keyboards! This means that both units can be played with a stylus in each hand, and quicker and more rhythmic patterns can be played. I extended the wires to the styluses slightly to make sure they could reach right across both keyboards. When using two styluses on the ‘Stylophone’ side of the unit, the ‘Beatbox’ side needs to be set to ‘Play’, otherwise that stylus will only work for a very short period and then not sound any more. I haven’t timed the ‘very short period’, which might give a clue, but this is probably to do with the circuitry which regulates the maximum of 8 seconds (at ‘normal’ tempo) for which the Beatbox can record. 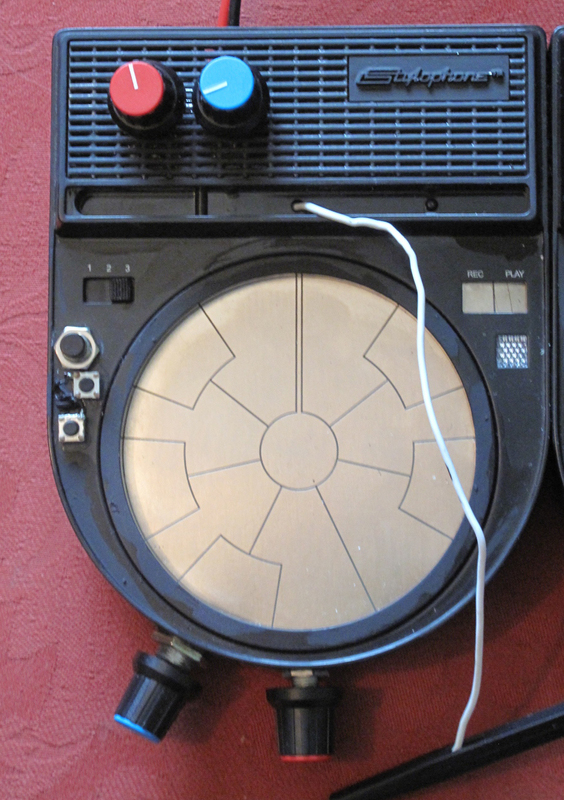 This is the ‘Big Boy’ stylophone half. Before finishing I gave the speaker grilles a coat of blackboard paint. The reason I used blackboard paint was a) it was the only black paint I found in my garage not in a spray can, and 2) it gives a pleasing matt finish, but is more durable than water-based matt emulsion. The rear of the instrument was sprayed black and the holes masked with painted material. 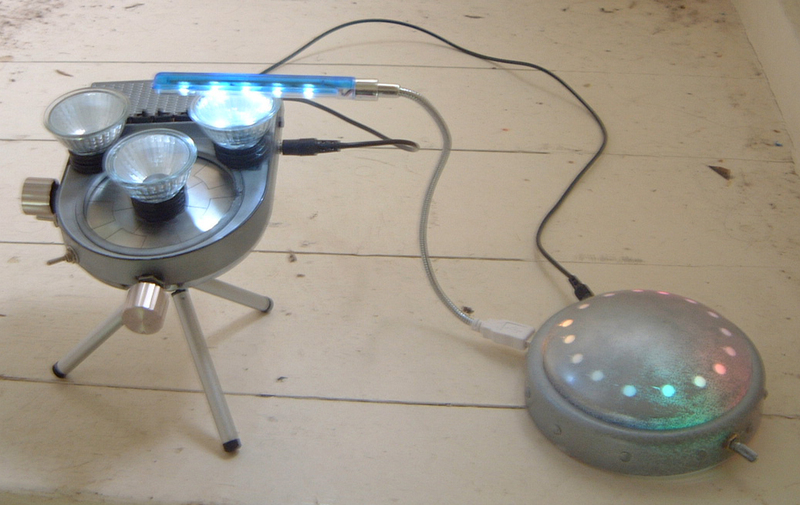 The UFO is a simple device for controlling instruments with light-dependent resistor (LDR) controls, for example the Opto-Theremin described in an earlier post. 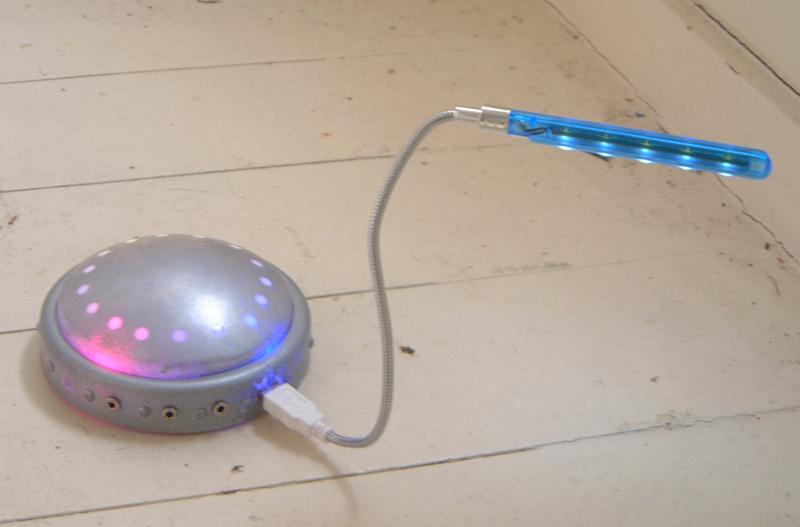 I painted it silver, and added bits to make it more flying saucer-like, some LEDs that change colour slowly, and a 5-LED goose-neck lamp that I found in a local Poundshop. 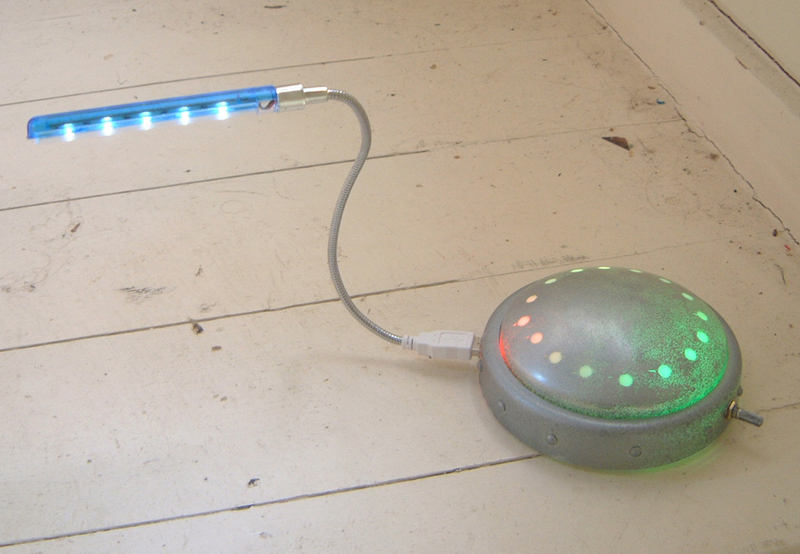 The goose-neck lamp is meant to operate from a computer USB port, so plugs into a USB socket, with only pins 1 and 4 (5v and 0v) connected. 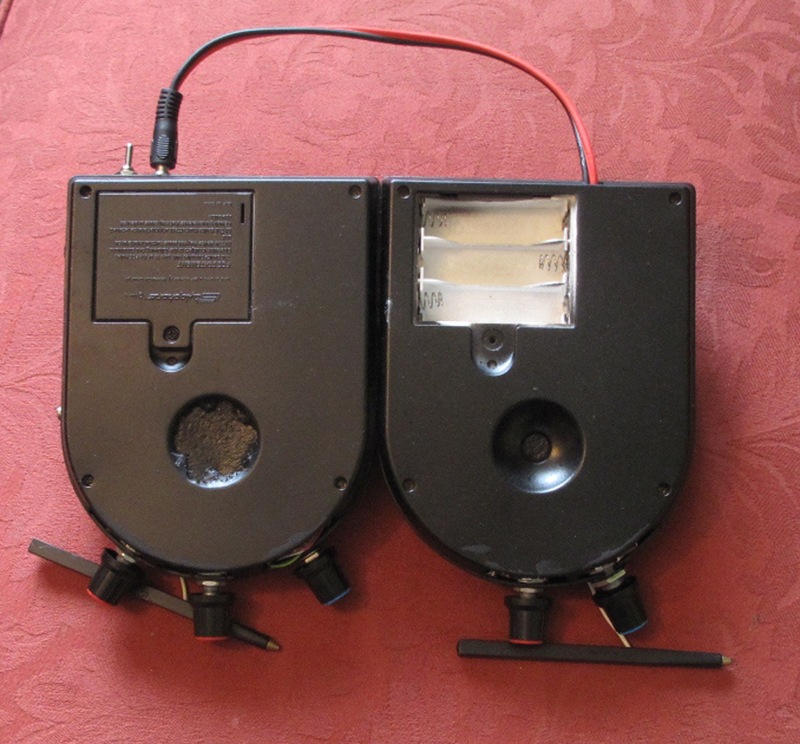 The battery holder in the lamp is designed for 6v, and therefore had space for 4 AA batteries, but I mostly use 9v, so I adapted it to take a PP3. I restricted the potentiometer from putting the full 9v through the LEDs, in case it was too much for them. 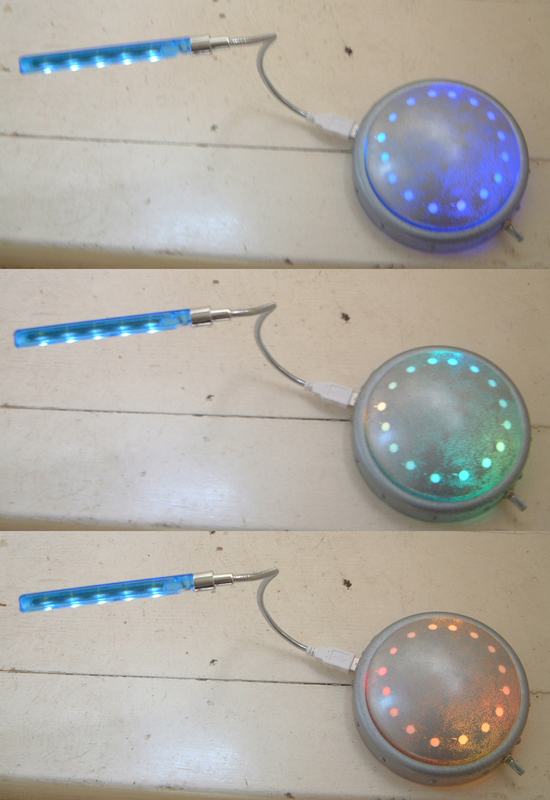 The maximum voltage allowed for the color-change LEDs was 4.5v; there are 4 of them, so I connected two in series on one side of the dome, in parallel with two in series on the other side. I also added some extra 3.5mm mono sockets, as can be seen in the picture, as this is a system I use for distributing power. When the Opto-Theremin is used in conjunction with the UFO, it can receive its power from there, rather than from a separate battery. The ‘Shuttlecraft’ isn’t really an invention of my own: in fact, it’s just a multi-LED lamp on a headband, as worn by cyclists. It appears here only because it’s an aid to playing the Opto-Theremin. Because light levels are often too low to get the maximum variation in parameters controlled by LDRs, it can be useful to have extra light to hand: but when your hands are occupied playing the instrument, the next best place is on your forehead. 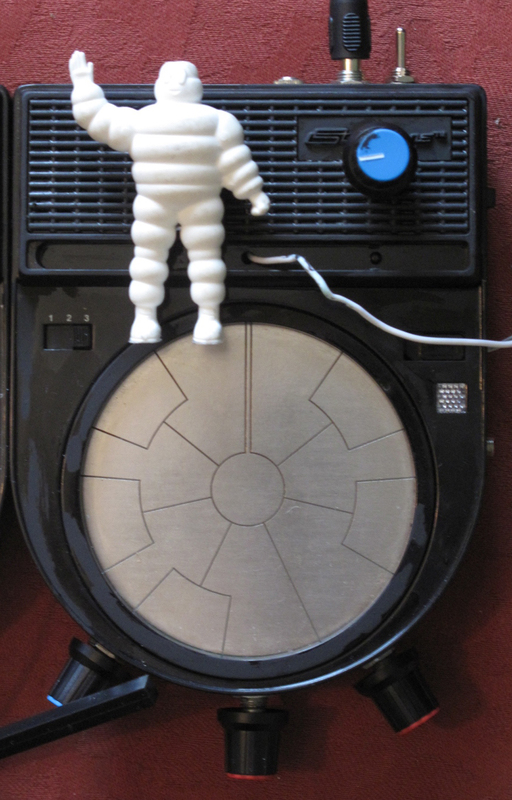 Although the UFO and the Shuttlecraft were created with the Opto-Theremin in mind, they could be used with any instrument (or effect) that uses an LDR – for example, my first Stylophone mod, the ‘Alien’, or the Stylophone 350S.